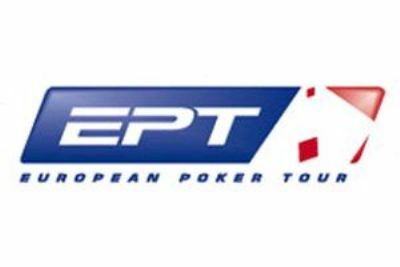 The European Poker Tour poker tournament now reaches its penultimate day with the Day 4 battle scheduled this Thursday. Of the 127 warriors who entered Day 3, only 36 survived heading to Day 4. Polands Jakub Mroczek possesses the largest stack forward to Day 4 with 1,790,000 chips in hands. Players armed with more than one million chips include Portugals Joao Vieira (1,151,000) and Germanys Artur Koren (1,126,000). Indeed, Day 3 was a hotly contested battle insofar as every single participant in the 127-player field fought hard to wrap the day up with a nice In The Money finish. Note that only 95 players would make the money in this 2014 EPT London Main Event. Mateusz Zbikowski was the first knocked-out. He took home £ 7,750 though (for his 95th place). Poker stars who finish in the money include Sam Trickett, Bertrand "ElkY" Grospellier, Eugene Katchalov, Sofia Lovgren, Paul Newey, Martin Staszko, Niall Farrell and Johnny Lodden. Lucky enough, many are notable poker gurus who make it through the next round. This is the case of Benny Spindler (911,000 chips), Jake Cody (794,000 chips), Kevin MacPhee (598,000 chips), Liv Boeree (156,000 chips) and Mickey Petersen (143,000 chips), all seeking for a second EPT title. Two-time EPT champion Victoria Coren Mitchell also took part in the festival; however, she was prematurely eliminated. The game will resume on Thursday afternoon at the Grand Connaught Rooms to play down the 36-player field to 16.